A new study by the AAA concluded that in total, Americans spent over $15 billion over the last 5 years on damage incurred from salt and de-icing methods on our roads. That comes to over to an average of $3 billion per year. AAA provides some recommendations for how to prevent rust damage, or at least reduce it, and they all boil down to keeping de-icers off the car, the worst of which is apparently liquid de-icer. AAA says this is because liquid de-icers, which remain in liquid form even at low temperatures, can work into vehicle crevices that salt might not reach. To keep the nasty stuff off, make sure your vehicle is clean and waxed before winter. Wash it frequently through the winter, especially the underside, and do a thorough wash at the end of the season. Furthermore, the organization says drivers should try to stay off roads as much as possible before, during, and after storms when salt and de-icers are distributed, and to make sure any exposed metal from rock chips or other damage gets touch-up paint applied. 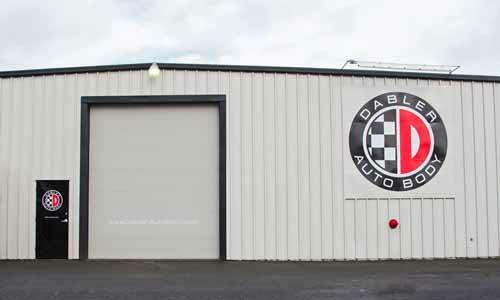 This entry was tagged ASE Certified, auto, auto body, automotive, body, frame, I-Car, I-CAR Gold Class, lifetime warranty, oregon, paint-less dent removal, repair, Salem. Bookmark the permalink.